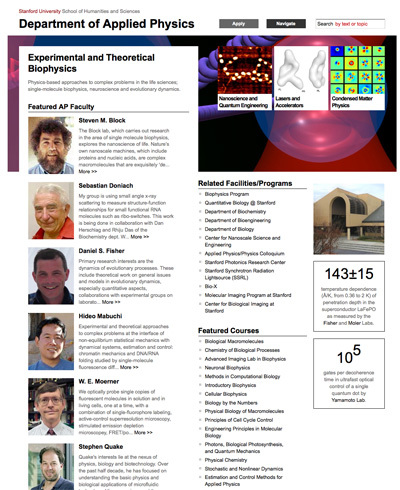 Applied Physics is a graduate department in the School of Humanities and Sciences. 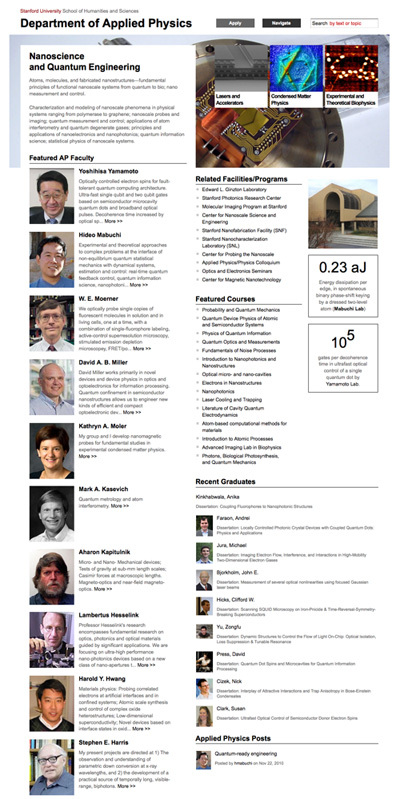 It is one of three elements — Applied Physics, Physics, and the SLAC National Accelerator Laboratory — in the broader physics community at Stanford. The Department emphasizes fundamental research in areas of potential technological importance and in areas of science where a physics point of view is particularly effective. The Department also has a tradition of inventing new tools for science and new devices for technology. 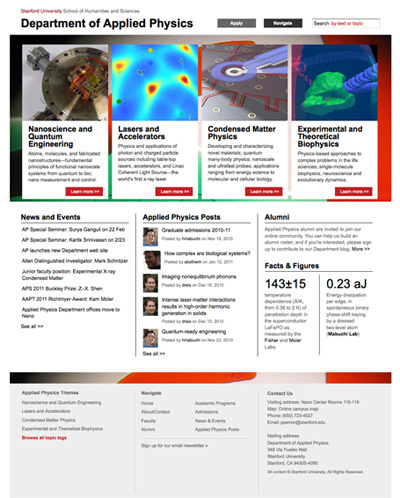 We worked with Physics professor and Department Chair, Hideo Mabuchi, to create a new information architecture, design and user experience for the next evolution of the Stanford Department of Applied Physics site. To do so, we implemented a series of custom taxonomies that best conveyed the structure and needs of the department by research theme. 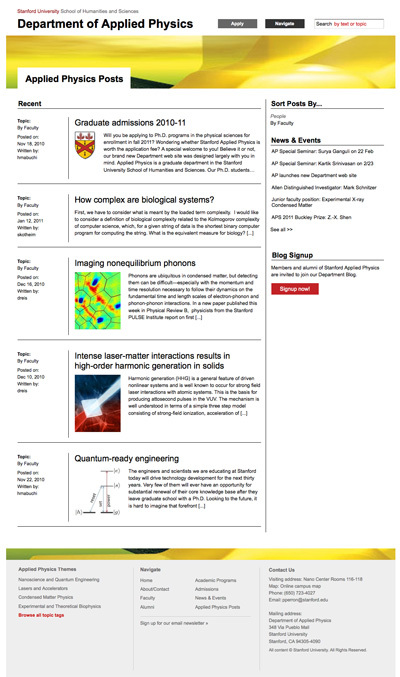 Content is flagged with a relevance rating for four research themes so that users can view content (faculty, courses, publications, and alumni) specifically for those areas, as well as drill-down to a breadth of physics content through a faceted search. The design is intentionally minimalist, with large images reflecting the visual content of the department’s fields of study. Design consulting, concept design, visual design and custom development.